I am generally patient and polite to sales people, even though my personality doesn’t like being cold called or appreciate being told that “I can’t live without” something. I understand local advertisers calling me looking for more ad sales, and they aren’t pushy. Multi-level Marketing (MLM) sales people on the other hand: holy hell I just can’t handle it. 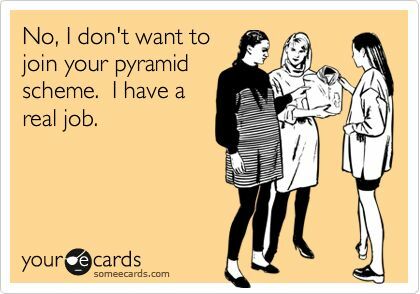 MLM’s like Rodan+Fields, Nerrium, Younique, and even getting to pushy avon ladies… just no. Yesterday I was approached twice by the same sales person within 20 minutes, first they called then emailed me! I hadn’t even had the chance to check my voicemail yet. This person was a owner from a spa in Toronto (why are you calling me in Thunder Bay?) they were selling Rodan+Fields, even though they actually didn’t say the name of the company (Sketchy much?). They talked about how it’s been on “The Dr’s” and its owned by Proactive (which means its owned by Estee Lauder). How its great to make money and as they own spa and they know everything and blah blah blah. I have had experience with Rodan+Fields before. When I first was looking into bringing a skin care line into the spa, it definitely did catch my eye. I have had worked with MLM’s before with little success but thought it wasn’t a turn off at the time. It had at the time 4 skin care lines (reverse, anti age (which are both for aging skin), unblemish, and soothe (both more directed for problematic skin). I made my order to get a full pack of each line and paid wayyy too much. When it came, I noticed that there wasn’t any scrubs or masks, some lines didn’t even come with a cream. There was 1 mask but its a cleansing mask so not a true mask. The rep I was dealing with had assured me a million times that she had other estheticians and spas carrying and using the products for facials. Facial product lines usually have multiple lines for hydrating for normal/dry skin, soothing for sensitive skin, acne lines or oily/acne skin, brightening/tightening/age defying for normal/aging skin. To me there isn’t one clear skin type, the groups are just loosely based around the same general issues and concerns. So I like to address all and make a skin care pack that is personalized. exfoliation -manually get off any dead skin cells, white heads, black heads and dirt. steam therapy 5-10 min – open pores, activate circulation and lymph in dermis. Serums and Mask 10-20 min – now all pores and open and cleaned out; serums and masks can penetrate your skin deeper to be more effective. Massage 10-30 min – usually just face, neck, chest, and shoulders but there are many higher end spas that use this transition into a full body relaxation massage. So as you can see if your product line doesn’t come with a scrub or a mask… what do I do with 30 minutes of your facial you are paying for? plastic everywhere great for germs and blood and other infectious materials to sit nice and tightly in. 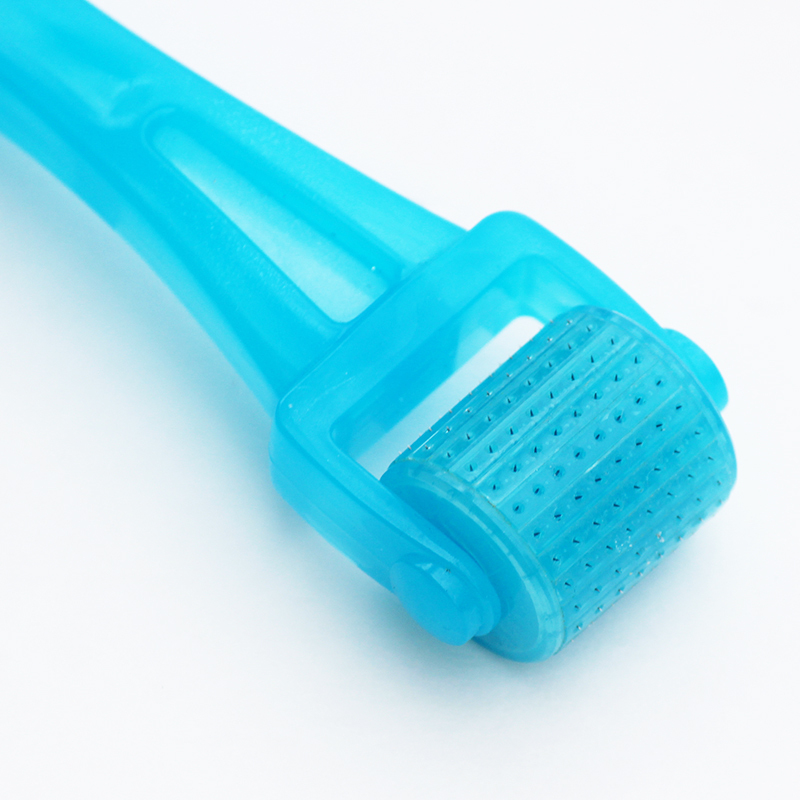 Another problem, the derma roller they have, which I was excited to bring in, was PLASTIC! And had no exchangeable heads (I do see now they do have extra heads). You can’t in a spa, according to Ontario health codes for spas and professional service salons, have something that comes into contact with skin and possible blood that isn’t either 1. disposable and/or 2. able to be sterilized and kept separately for each client. So even though now they do have the extra heads, the plastic wand part would still not be acceptable. When I brought all these issues up to the rep, saying that in the past almost decade in my career that I have never had to supplement a skin care line with other products and about the plastic roller issue. She once again encouraged me that all her other spa owners were happy to sell it. I asked if she could pass my info to any of them to get back to see if I could check if it was being used or just sold, what products were they pairing with it and what they did with the derma roller to fit into health codes. No one even contacted me. I ended up returning all off it, fighting for 2 months to get my money back. I did get it all back thankfully. Next came the Nerium people. I went to a few wedding trade shows, they were everywhere. It got to the point where I had to contact the trade show coordinators and ask them why would they allow the same product to have multiple stalls and vendors in one spot. Nice ladies, don’t get me wrong. But still the MLM business plan is to be PUSHY! I have had people from out of town come contact me, and randomly show up at my salon. When a company says they have some crazy, big, newly developed technology, I tend to go look into it. When you ask a sales person what’s in it and they just rattle off the effects and the name of the new “enzyme” or whatever it is that makes the product special but can’t tell me exactly why or how it works biologically. I don’t trust it. I do my own research and always look to blogs like layzmanandmoney.com, supplement-geek.com and barefacedtruth.com (and others) for articles they have written. They do very well informed research, all writers for the sites have high credentials and they cite all their work too. So the sales people always talk to me, try to get me to buy, try to explain all the benefits. I have one trick that ALWAYS stops them in their tracks. “Is it Vegan/Organic?” They can never answer. “Oh well we don’t know.” has been the answer every time for the past 3 years I have been contacted by these people. You would KNOW if it was.. it would be a feature selling point! You also can’t just go around saying that it is, many researchers, consumer advocacy groups and associations check into if its truly vegan or organic to certify it. Lastly and unfortunately, for the sales people when they meet me and its my turn to talk, they turn a deaf ear. I have tried responding to emails, calls, and their impromptu meetings with pretty much this blog post. Explaining the fact that they don’t have education in this makes them (at least to me) look unprofessional. But they will just swear up and down it works: I try to explain below. In general all these factors may not conscientiously register with the user and can cause them to think that it is just the 1 product. With me you will always hear me telling you how and why something I’m doing works. I always instead of telling new gel nail clients “oh it it burns under the light? just take your hand out.” I will explain that gel nails that are cured by light are restructuring their particles to line up forming a solid state of matter from their gel state: giving you a small 5-10 second lasting friction burn. This can also be intensified by maybe I used a bit too thick of a layer, you might have sensitive hands, close to your period or other factors. 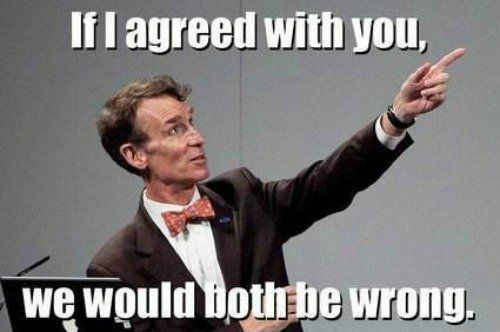 I’m like the Bill Nye Science Guy of esthetics. I understand some frustration with these people, but in other cases (such as mine) maybe the person believes in the product so much (and uses it) and also joined the business because of that. Maybe that person simply isn’t just about making money, maybe they actually want to help people. I just got into a new business, and yes, its network marketing. But, I wouldn’t have spent the money to join it unless I tried the product first. Perhaps its time to stop putting everyone in the same bracket, and instead giving people a chance if the genuinely mean to help you.